Purchase a personalized, unique and special Custom Mobile Back Cover or Pouch for Blackberry Smartphones and Tablets Online in India from yourPrint. This is is the ultimate Mobile Back Case to use for yourself or to gift to your loved ones with a High Definition Selfie/Photo Printed on it. The photo is printed exactly as designed by you - yourPrint makes your Photo Printed Back Pouches Special:) You can customize the printed mobile cover completely using your Photographs, Selfies Images, Templates or Text - Basically Anything that you can Imagine can be printed on your cover by yourPrint company. We are proud to be once of the few websites in India to offer printed cases for all smartphones and tablets manufactured by Blackberry. 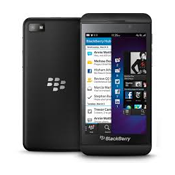 You can Buy Personalized High Quality Photo Printed Cases for Blackberry Z Series & More at yourPrint. At yourPrint, we believe in providing our customers the maximum choice for Printed Gift Products in Highest Quality at Lowest Prices. All our Printed Cases are offered in Hard Plastic and Soft Silicone TPU Materials. The Hard Case was your Picture Printed on the Back and Both the Sides of your Blackberry Phone. The Soft Case is printed on the back side only. Both the Pouches have High Definition Photos printed on them.